Three years have passed by since the demise of my mentor Prof. Uditha Liyanage. A lot had been said about this legendary marketting sage since his untimely departure in August, 2015. The Postgraduate Institute of Management (PIM) had posthumously published his final contribution Consumer Strategy in 2016. We renamed the PIM library as the “Prof. Uditha Liyanage Memorial Library” last year. In 2018, we would launch the “Prof. 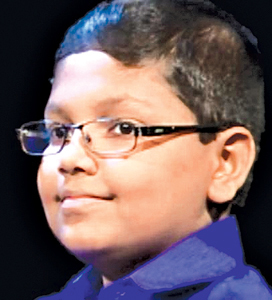 Uditha Liyanage Memorial Oration” as an annual event. My attempt is not to repeat his accolades, but to share my experiences of being influenced by this wonderful human being. Professor Uditha Liyanage was an invaluable instructor, inspirer and an influencer to for me. Let me share some such reminiscent memories. He was my marketting teacher at the Postgraduate Institute of Management (PIM). As an engineer who had never done marketting, I developed a flavour for it during my MBA studies, thanks to him. We had to be clear about the central theme or the main argument. Once he became the Director, he recommended us to use four modes of teaching, namely tell, ask, do and show. His view was that during a three-hour lecture, the telling should not be more than one-third. The rest should be asking questions, carrying out activities such as case studies as well as showing videos followed by discussions. We felt the variety and versatility of his endavours through all this. Prof. Liyanage insisted on the understanding and application of managerial topics. He gave us a challenge: be confident in sharing key learning points in your own words with your teenage son or daughter, in a manner that they would understand. That requires clarity and commitment. He suggested us to use a “switch on, switch off” approach. Switch on is when you are in complete focus with attentive concentration. Switch off means to relax and unwind. A healthy blend of both is necessary in effectively grasping knowledge. Developing teaching models was one of his key initiatives. A simple Google search would amply justify the popularity of those models in relation to marketting and strategy. Liyanage Value Pyramid, Liyanage 10 S Strategic Marketting Planning Framework and Liyanage Strategy Quadrant are some such models that became useful for management learners. These authentic models made his sessions enriching and also showcased the power of Sri Lankan thinking that is second to none. Prof. Liyanage inspired me in many fronts. He stood tall in front of all of us. As a sought-after marketting scholar, a strategic management thinker, an exceptional academic, a thought-provoking teacher and a visionary leader, he was a guiding light for to us. I saw him rendering yeoman service in multiple ways in raising the PIM flag higher. His exemplary character and competence were evident in the manner he contributed to socio-economic upliftment as a great human being. “The process of learning and one’s exposure to education must be continuous. There is much more to be known and that which you know may no longer be valid.” This had been Prof. Liyanage’s advice. He shared with us articles, web-links and books that were of high relevance to sharpening our managerial skills. I still remember how he shared an article on Nishkam Karma (detached involvement) written by a Prof. Chakraborty from the Indian Institute of Management in Bangalore. Prof. Liyanage was interested in knowing my reflections on it and it took time for me to realise the value of such gestures. Moreover, I see the value of detached involvement as a leader thanks to him. I saw the blossoming of transformational leadership at PIM with Prof. Liyanage. He influenced all of us to raise the quality and relevance of all modules we deliver. “Our business is mastery,” he often said. “PIM brings the reward of outstanding results to those professional managers who strive towards mastery.” That’s how he influenced the aspiring learners of PIM. Converting practitioners to professionals with character and competence had been our endavour. PIM had always been a centre of excellence in management education with its winds spreading beyond Sri Lanka. Much of the credit should go to Prof. Liyanage for elevating it even higher. PIM is proud of being a self-financed, semi-autonomous public entity. It was under his leadership that we became the first public sector higher education institute to obtain the ISO 9000: 2008 quality standards. He influenced us to change for the better. Through his famous “mod-tradi consumer model,” he encouraged us to strike a balance between traditions and technology. I still remember how he insisted on using more practical examples in discussing a theory than being overly theoretical and neglecting practice. He showed us through his innovative teaching approaches, as to how we should maintain depth. Prof. Liyanage compared PIM to a temple and often suggested that the work we do have high spiritual value. He encouraged us to “give more than we get” with regard to rewards. Having left a lucrative multinational career in becoming an academic, this lesson was soothing for me. He cautioned me to strike the needed balance between knowledge-creation and knowledge-sharing when I was having an over-demand for training and consultancy. A research role, though not financially-rewarding, is of extreme use for a management academic. I learnt how to be a multiple role-player with balance and brilliance, thanks to him. Life is not only to live, but to leave a legacy. Prof. Liyanage had aptly done that during his life. As Abraham Lincoln said, “It is not the years in life that matter, but the life in years.” This was very true of Prof. Liyanage. We at PIM commit ourselves to carry his legacy forward. I am humbly happy to lead a learning community in such a noble endavour. Goodbye my beloved instructor, inspirer and influencer. May you attain the Supreme Bliss of Nibbana. Always bringeth a glazing smile. Wishing Barbara Schofield Perera a lifetime of love, happiness and good health in celebrating her 100th birthday. May your days ahead be full of light and laughter, surrounded by those you love the most. You are a shining example of a life well-lived and inspire us all to do the same. Is still a mystery to me! At the very outset, let me say that it is not usual for a son to write an appreciation of his mother. But then, my mother was an exceptional human being, at least to my two siblings Leilani and Pravin as well as myself. She lived to the ripe old age of 99, exceeding the Psalmist’s score by almost three decades. To the three of us, she was everything and more that a mother could ever be. Even long after my formative years, she was the one I always turned to and relied on. When I exceeded my weekly allowance, I could rely on her for a little something to tide me over until the next installment and nary a word to my papa. My papa, being the martinet he was, was very strict about what he doled out to his three children . Come birthdays and family outings, it was our mum who came out with ideas and planning: trips to the Gampaha Gardens, Victoria Park as well as moonlight dinners at the Lighthouse on Marine Drive. She was the one who always ensured that there was a “jolly bomb” at my sister Leilani’s birthdays in December. Her culinary expertise were well-known and my cousins still smack their lips when they talk about her cheese straws, cream buns, the Portuguese delicacy bolo folhado, and the South Indian payasam and kesari. Her Sunday afternoon desserts were especially delicious and we the family could choose our favourite dessert in rotation, my being the honeycomb mould pudding. Her skills extended to sewing, foreign languages and music as well. My paternal aunt Niru used to tell us that she had sewn for four generations of my father’s family. She was quite adept at keyboards and our home used to waft to the tunes of Chopsticks and The Maiden’s Prayer. Despite her mild disposition and diminutive size, she could be quite formidable when the occasion warranted it and woe betide the butcher who short-changed her on a joint of beef or if the dhoby brought back her precious dorcas bed sheets frayed! She was also a live-wire of the Bambalapitiya Holy Family Convent Old Girls’ Association and played a good game of tennis in a (half-sari) at the Bambalapitiya Catholic Association. Her children rise up and call her blessed. With the passing of William Henry Samaranayake, retired Principal of St. Bernadette’s College, Polgahawela, in 1969, the country lost a great educationist and silent social worker, whose activities were directed to the welfare of students. Many of them rose to power and distinction. When Samaranayake took over St. Bernadette’s College, it had only a few cadjan huts to house students. Samaranayake’s courage and perseverance helped produce magnificent buildings which house the college even today. Samaranayake was not only a man of an unassuming disposition; he also had dignity without pride. He was calm and collected and was a gentleman par excellence. Samaranayake belonged to an age which is fast-sliding into history, but he successfully accomplished his tasks, reaching eminence in diverse fields. His philanthropic genius enabled many an underprivileged to bask in the radiance of his warmhearted munificence and acts of generosity. Educationists of Samaranayake’s stamp, mettle and genius are indeed today, rare as sandalwood trees that adorn the jungles of Sri Lanka. 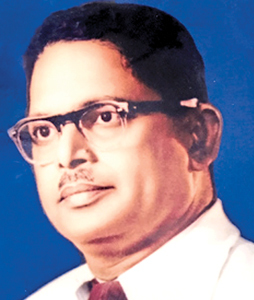 William Henry Samaranayake will long be remembered as a great educationist who disciplined and moulded students to be respectful towards their parents, elders and the state. The students who occupy positions of dignity in the nation today, owe a great deal to Samaranayake. He was also a prolific writer to the press and his articles were directed towards creating public opinion. Three great positions worthy of human ambition are to be the ruler of a great nation, the principal of a great school or the author of a great book. Samaranayake was not only the principal of that great school, St. Bernadette’s College, but he was also the author of four great books: English with a Smile 1, English with a Smile 2 and English with a Smile 3 as well as Practical English, which is almost a vade mecum and a sine qua non to English students in Sri Lanka. W. H. Samaranayake has been laid to rest, but he would live forever in his books, which as text books in Sri Lankan schools, had been and would continue to be, invaluable guides to generations of teachers as well as students for years beyond our ken. The world had lost a great educationist who was distinguished for his simplicity as well as his high sense of duty and integrity. His 49th death anniversary falls on August 26, 2018. His 112th birth anniversary falls on November 26, 2018.